I received this interesting info about a building that I like to visit via flickr. 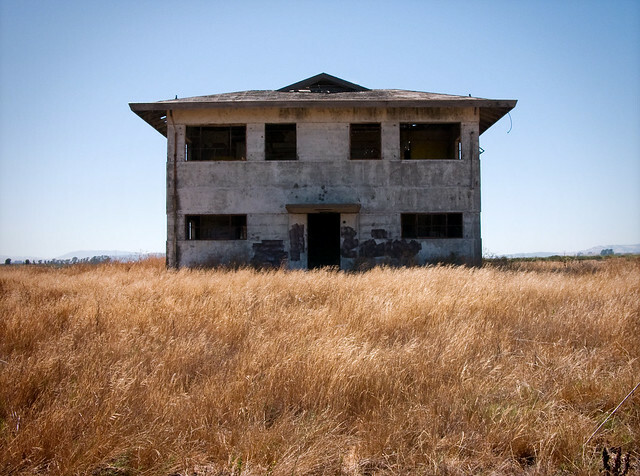 Pretty cool if its true: "This is the Press Wireless Radio Building located in the Napa-Sonoma Marsh. It was owned by the United Press and the building was used to collect and route information coming from satellites. Its reportedly the first location in the United States to receive communication from space and alerted the world to the existence of Sputnik when they accidentally picked up communication from the spacecraft." Thanks, Chris Hattich.